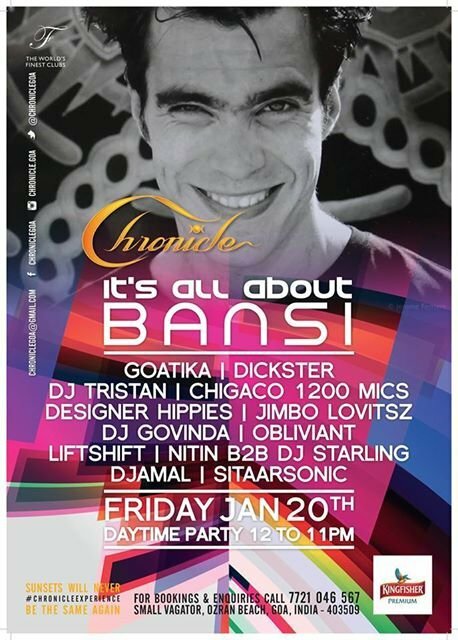 January, 20th Pavel GOATIKA plays chillout set at a special donation concert for Bansi. Pavel's set starts on 1pm. Place: Cronicle club, Small Vagator, Ozran Beach, Goa, India. Welcome to Pavel Goatika's DJ set at New Year's Eve Party in Hill Top, Goa, India on January, 8th 2017! The first concert of Pavel Goatika in the new musical Goa season takes place at Curlies Club (Anjuna, Goa) on December, 31st 2016! Welcome everybody! Party starts on sunset!